I ordered a bunch of mineral makeups from Ronasutra. 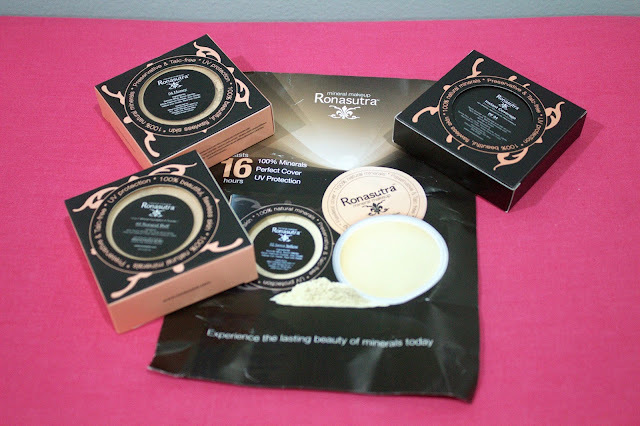 I have been a loyal user of Ronasutra for years now and I really love how their products are good for sensitive skin like mine. 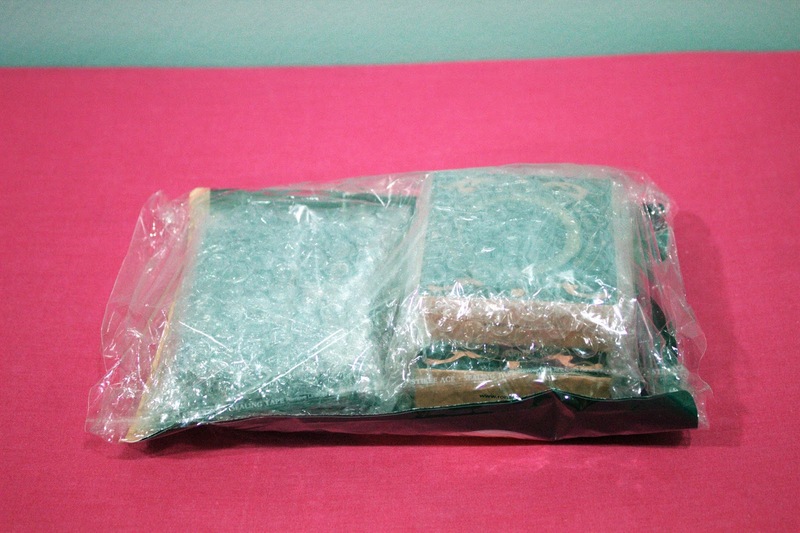 Their price ranges are very affordable. 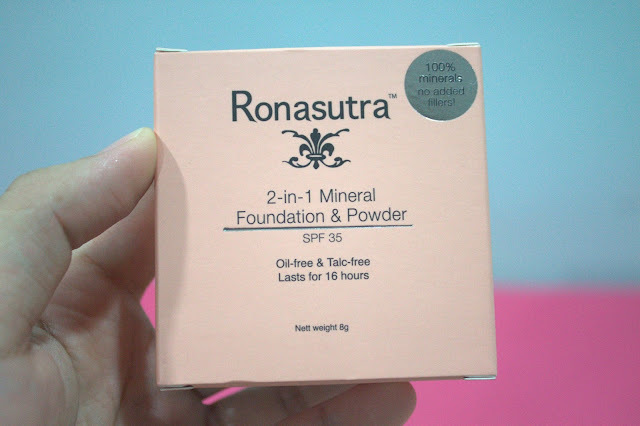 I was feeling a little skeptical on trying out their products but reading their infos and reviews from blogs and youtubers, I decided to give it a go. Went on to their website and browsed around and I realized how much this brand has grown. This is my favourite category in the whole website. Look at all the different shades and tones they came out with. 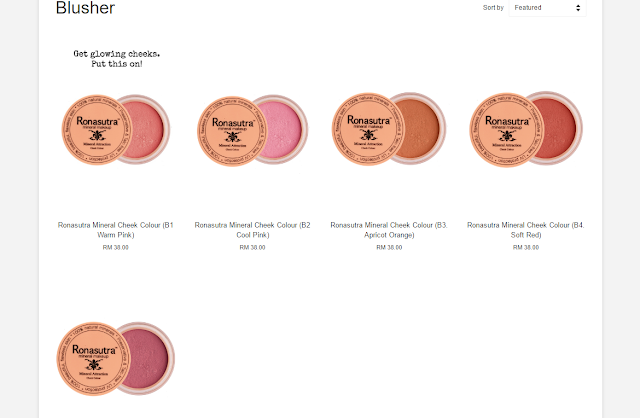 I'm currently using the one in the shade (04 Honey) which is sold out at the moment. I just found out about their skincare line and I love the packaging. 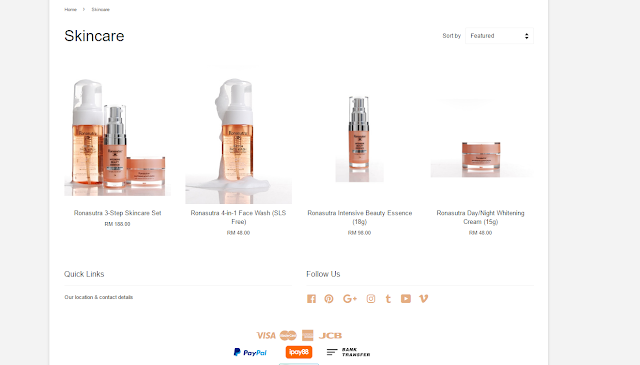 I am so looking into trying out their skincare products in the future. and how lasting it is on my cheeks. 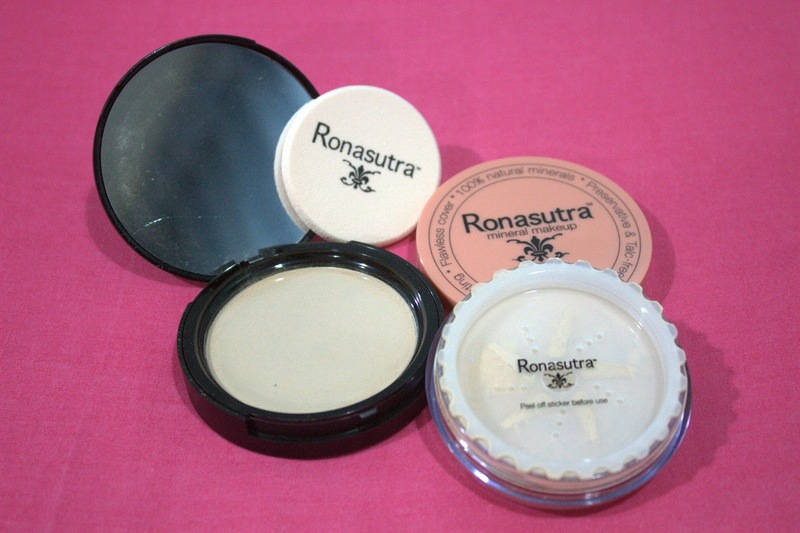 I use to own the Warm Colour (B1) blusher back then and I love it! The colour selections are beautiful! I have been eyeing on their eye products for a while now. 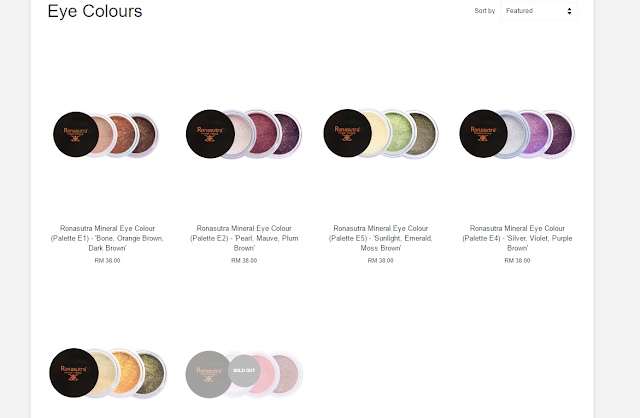 I have never tried out mineral eye shadows before and I am so tempted to try them out soon. I love how they come in small little containers! Not forgetting their makeup tools! 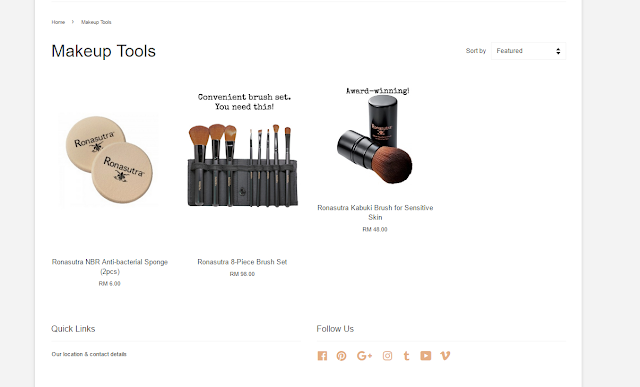 I've used their Kabuki brush and sponge before and love how well it picks up the product. 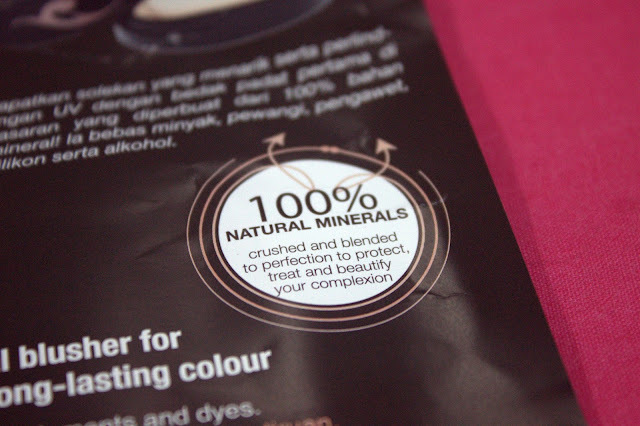 Their brush is designed specially for those with sensitive skin and I love how it is easy to store. Just roll down the brush and cover it with the cover provided to keep the dust away. So, here's what I got..
and Ronasutra Instant Coverage Pressed Powder Foundation (PF 04) (Rm58). 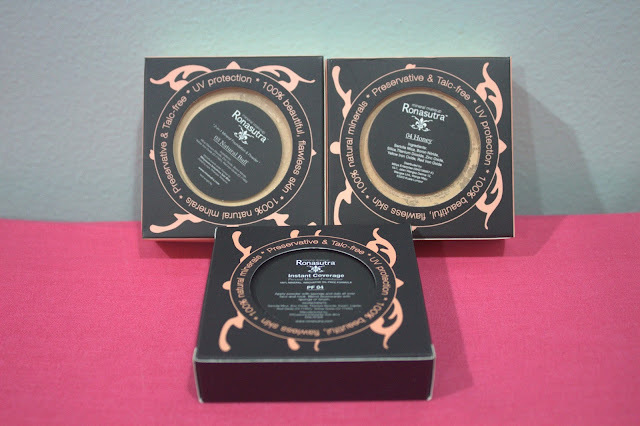 I never really tried their pressed mineral foundation before so I decided to get one and I used it with a damped sponge and I must say it was really nice! Pressed powders are best for those who have slightly oily to combination skin types as the powder with absorb all the excess sebum or oil off your face. 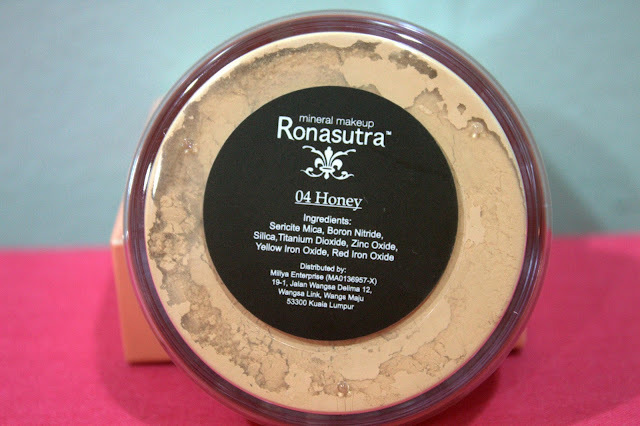 You can even use this to touch up your makeup throughout the day. The best part about the powder pack is the star shaped part. All you have to do is twist the out part of the container in order to move the tiny holes to the opening part if you get what I mean. You can see in the picture that there is one part that has a lot of powder in it and yes that's where you need to move the holes to. That's how you get the powder out. 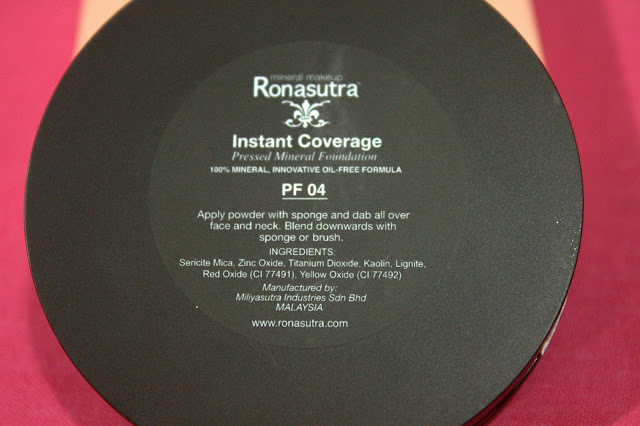 I really love how this powder matches my skin tone. 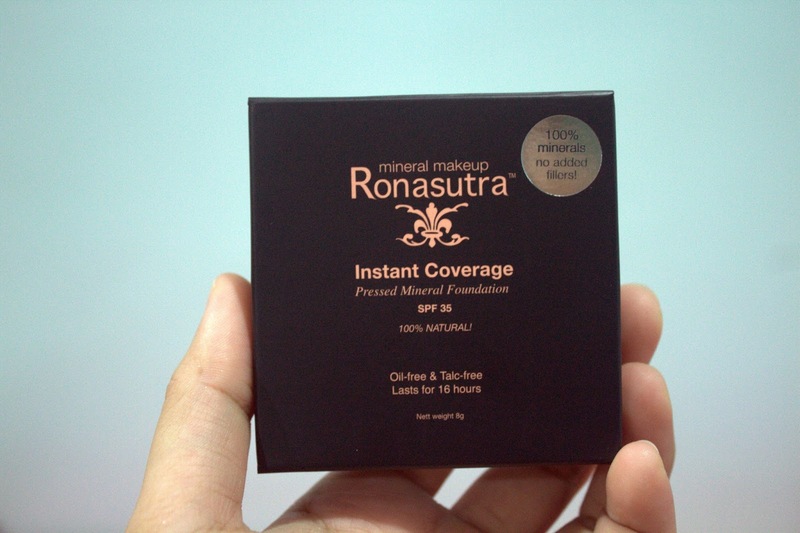 I have a very yellowish base skin tone and this works perfectly! I always find it very very hard to get the right match when it comes to pressed and loose powders. This is my 3rd purchase for this powder and I can't live without it! 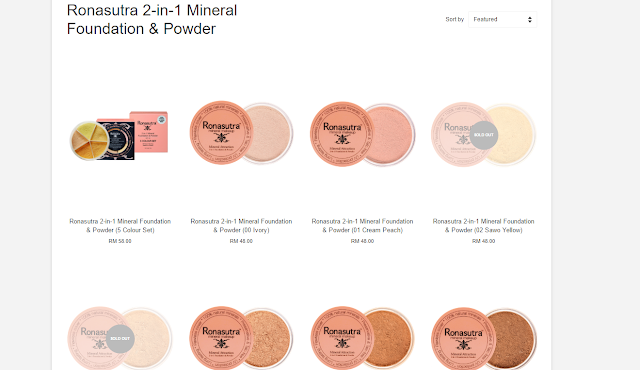 So for all my Asian friends out there, you know where to find your powders now and yes, you are welcome! 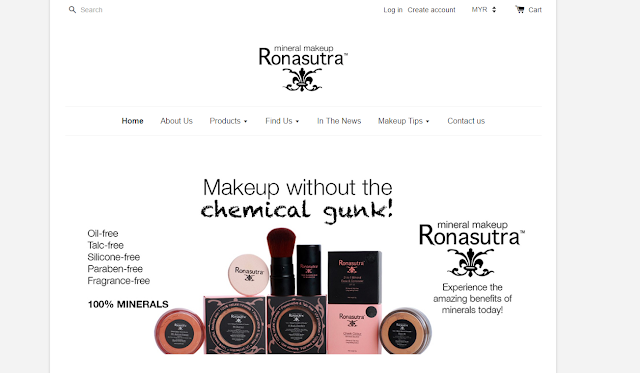 For those who want to try out these products, click here! Product Review : Fit Box | The Native Food Co.